Few movies disgust the masses like “The Evil Dead.” Uttering the name brings our generation back to the 1981 horror icon that set the precedent for how much blood a movie could toss around. If you watch the film now it may just look like a cheesy school project, but it’s still the benchmark for many horror movies today. The series became very self-aware with its sequel, “Evil Dead 2 (1987),” and went full-on ridiculous with the following “Army of Darkness (1992).” The protagonist, Ash Williams (Bruce Campbell), went from a tortured witness to a chainsaw-wielding badass who cracked one-liners like nobody’s business. 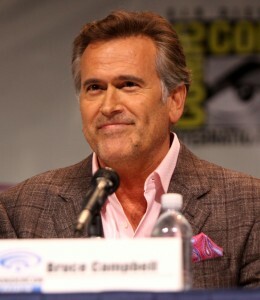 Bruce Campbell at WonderCon 2013. 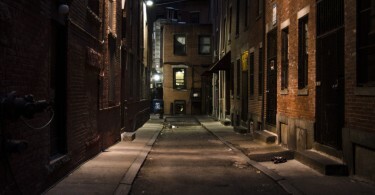 Photo by Gage Skidmore. The original movie was given a fresh coat of paint in a 2013 remake, but it didn’t include lead punching-bag Ash. It was decent though, and even holds the world-record for the most blood used in one movie scene—50,000 gallons. The entire series is notorious for being gory, so when a television reboot on Starz, “Ash Vs Evil Dead,” was announced, many were worried that the bloody fun was over. It’s not. “Ash vs Evil Dead” kicks off 30 years later with that same doofus. We’re introduced to a washed-up Ash Williams, one that spends his days living in a trailer park and picking up chicks at bars. In the beginning, we’re treated to some references to his stump-of-an-arm and homages to the original series, then immediately thrown into a car with Ash to the nearest watering hole to meet said chicks. Clearly the adrenaline rush of fighting of “deadites” has lost its charm. Campbell is accompanied by other actors, such Jill Marie Jones, who plays an detective, and Ray Santiago, who plays Ash’s coworker/conditional partner. It’s hard to tell how they’ll interact as the series progresses, but it’s already evident that Ash is the wise man of the group that tells the other peons where to stand while he takes care of business. The most ludicrous thing about this series why it’s taking place to begin with. See, Ash defeated the evil back in “Army of Darkness” — it was banished back to the book of the dead (the centerpiece for why all hell literally breaks loose). The sole reason he even has to fight it again is because he gets stoned with a girl and reads it to her thinking its “poetry” will impress her. Seriously, that’s it. Bizarre as it may be, this series succeeds because we have our missing piece of the puzzle back. 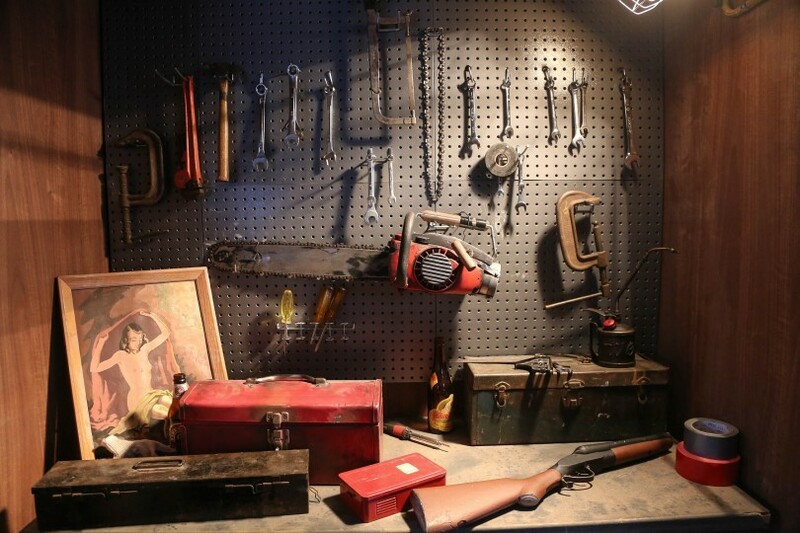 If you’re reading this as a prior Evil Dead fan, take a second and visualize everything you want to see in this reboot. I guarantee everything you just pictured is real and it’s as glorious (and gory) as you hope it will be. It’s the continuation of “Army of Darkness” that we needed after the disappointment of that 2013 remake. Since the show airs exclusively on Starz, it’s likely that you missed the debut. Turns out Sam Raimi, the producer for the original “Evil Dead” movies, actually produced the first episode (it’s the only episode he produces during this season). The third episode airs tomorrow night, Nov. 14, on Starz. Ash is an unlucky man. He gets beaten to hell on a hourly basis and everyone he loves turns into a zombie. But this series soars beyond expectation because Campbell has reprised his role as the world’s imperfect savior. It’s a messy job — and involves a lot of decapitation — but he’s the only man for it. And as the first episode closed with the most appropriate phrase uttered in television history (please just watch it), I think I may have found a new favorite show.